Noted Windows blogger Paul Thurrott claims that a "subscription based" next-gen Xbox will cost $300, and the standard model will be $500. The Xbox 720/Durango/Next-Gen Xbox will launch in November of this year, and set you back $500 for the standard edition, or $300 for a "subscription based" model, claims noted Microsoft insider Paul Thurrott on the latest episode of What The Tech. He described the platform overall as "expensive." Thurott also confirmed rumors of the next Xbox's always-online requirement, which was strongly hinted at earlier this month by comments on Microsoft executive Adam Orth's Twitter. Thurott claims the system's notes specifically state that the new console "must be Internet-connected to use." The console reportedly stops functioning if its internet connection is dropped for more than three minutes. "But is that a bad thing?" What The Tech host Andrew Zarian asks Thurrott regarding the always-online requirement. "I don't know," he replies, "because I don't know what it means." Thurrott claims that the wording of the system notes could be interpreted in any number of ways. He warns us to not be quick to jump to conclusions. He does state that his current Xbox 360 experience is almost entirely online, mostly playing online games or using it as a media center connected to an online service. 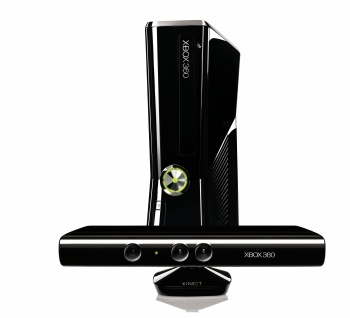 Most surprisingly though is the revelation that a new Xbox 360 console will be released alongside the next-gen Xbox. Microsoft is planning a $99 "Stingray" Xbox 360, which Thurrott claims is because the next-gen Xbox will not be backwards compatible with Xbox 360 games. A media center-only Xbox codenamed "Yumo," which could not play games at all, was reportedly in development but eventually scrapped. We will have to wait until May 21 to have these rumors confirmed, which is the date Thurrott says Microsoft will reveal more information about its upcoming console.